You have been onboard for almost six months, what is the growth plan for FNT Software in North America in 2016 and beyond? 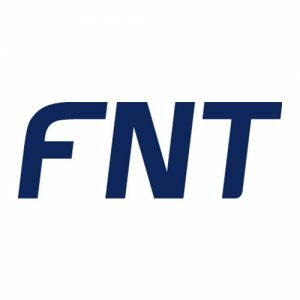 FNT has a great product line that solves real business problems for the largest brands in the world, such as Audi, Vodafone, John Deere, BMW, Daimler, and Alcatel Lucent, to name a few. Although we have 500 customers worldwide, FNT Software is relatively unknown in the North America. The first thing that we need to do is aggressively promote who we are and what we do so more enterprises are aware of how our technology can help solve problems for them. How can organizations benefit from integrating FNT Software within their IT infrastructure? As long as I have been in software, aligning IT to the business outcomes is always paramount. As we are at the cusp of a new digital economy, IT is no longer relegated to the “back office.” It is increasingly becoming an integrated component that enables new business models such as digital payments and the Internet of Things among other critical areas. FNT Software allows companies to map business services to the physical IT resources, and closely align outcomes with technology infrastructure to compete in this new age. DCIM is often perceived as being too complex to deploy? What would you say to a C-level executive who has this perception? Comprehensive software systems can be complex if you try to deploy them all at once. DCIM is an ERP system for the data center, and offers an array of modules that can be implemented in stages. Like other ERP solutions, DCIM needs to be phased in, starting with modules that represent the biggest pain points for an organization. We work with customers to identify their needs and typically start with documenting IT assets and then expand to other areas like cable management and monitoring. Among enterprises, telcos and cable operators, which can benefit from leveraging FNT Software? With respect to DCIM, cable management and service management, where are the market opportunities for FNT Software solutions? We will continue to focus on DCIM for the enterprises and multi-tenant data center operators. However, we are seeing opportunities in cable management and service management, especially in certain market sectors such as the automotive industry, utilities and cable/network operators. All of these can benefit greatly from centralizing their infrastructure and cabling assets, and align them with their business objectives. What differentiates FNT Software from other offerings? Because of our unique and diverse set of integrated solutions, FNT Software is the only software vendor that is able to map business services to applications, and IT Services to the physical infrastructure. That is exceptionally powerful, as it offers C-level executives and line of business managers with the tools to make more informed (and strategic) decisions. I have two children, Aidan and Katie. I am active in community activities and enjoy the privilege of coaching their baseball and softball teams. Sports offers a forum to prepare our youth with important life lessons such as discipline, teamwork and adversity. Through coaching I love to pass along my knowledge and help kids build their skills on and off the field.